Could you tell me a bit about what you've created as part of the residency with FRAC? I understand you've been looking at the history of their International Workshops and the artists involved. What inspired this topic? How will this be presented, and what did you hope to achieve and interrogate with this work? 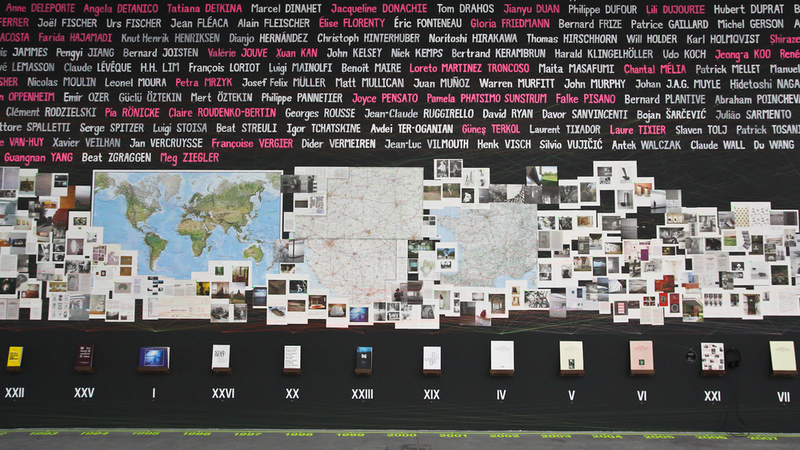 This work, titled Tout ou Rien (All or nothing, or everything and nothing in French) at FRAC des Pays de la Loire was a reconstruction of their residency catalogs into an installation. I wanted to re-embody the information into a different mode of visual presentation, and through this process engage and familiarize myself with the source material on a tactile and intimate level. This research and presentation methodology was similar to the one I have used in prior archive installation in Ghost: The Body at the Turn of the Century at Sculpture Square in October 2013, in a work titled Artists’ General Assembly: The Langenbach Archive. This particular FRAC has a strong reputation for being one of the pioneering FRACs to start an artist residency. They started in 1984 and has almost had it consistently running for the past 30 years. The Singaporean artists were the 29th edition of this residency, which has produced a total of 21 catalogs as records of the residency program and exhibition. There were two main reasons why I took on this subject as the focus of my residency work. Firstly, I really wanted to resist the burden of representing Singapore - I thought that being a ‘nation’ based residency, any work we might execute would be read within the framework of our ‘country of origin’. I wanted to challenge myself to see if I could potentially create a work that was rooted in their language and history, which will be meaningful to the institution, the people that manage it and the community that supports it. Secondly, I am interested in asking what are the conditions of production that brought us together in this foreign space - and I started by questioning who has been here before us and what they have done. I have a soft spot for dense archives and bodies of information, and the catalogs were so rich with potential and knowledge that it seemed a natural extension of my research and curiosity to expand it into an installation. 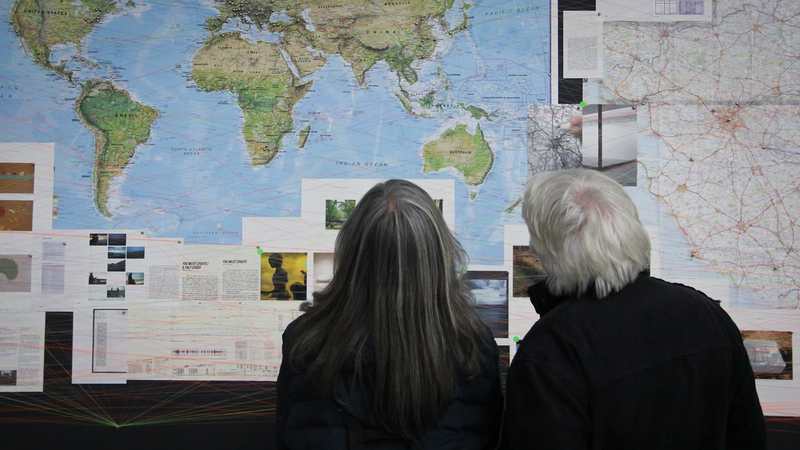 The fundamental question I was investigating was whether, after all these years and all these 250 or so artists who have passed through the programm, if we can track a certain collective consciousness or through line / pattern to the works produced as part of the residency. At the same time, the weight and burden of the history also begs the question of whether it was even possible to produce anything new in light of what has been done - hence the title Tout ou Rien. "Loo Zihan is venturing into institutional criticism, reflecting both on his status as a guest artist from Singapore in France as part of a transnational cultural event, conducting a project that he hopes will be as free as possible from any expectations aroused by his presence, and offering a work that will question the context of creation while at the same time deconstructing the relationship between the artist and this context." What do you think occurs when an artist, within the framework of 'representing' his own country, goes to another to take part in a residency such as this? What kind of 'cultural exchange' do you think can be gained, both by the country receiving him, and the artist himself? Or is that a more utilitarian framework used by the policymakers / the state involved in cultural diplomacy? When artists receive state funding, no matter how avant-garde or controversial the work, we are being co-opted into the system and this necessarily means the work we are producing aligns with the interest of the state and what they would like to represent. Some might call this propaganda, and if so, everyone who has received support from the state in one way or another would have to admit that their work is influenced (whether consciously or unconsciously) by the state and its agenda. A residency such as this is a more explicit instance of this support system in place. It is a symbiotic relationship - artists need the opportunity to exhibit and show their work, and the state needs us artists to perform their cultural diplomacy. As to the question of what the artists and both states glean - it really depends on how this supposed benefit is measured. In a personal capacity and specific to this residency, I can say that the residency has pushed my practice to a different level. I produced a work that I would never be able to produce in Singapore because of the conditions of production and limitations that were in place. But artist residencies are inherently problematic as institutional structures. For example in this residency, we did not manage to link up with the community of local artists in Nantes, and did not really have an ‘exchange’ of sorts - but two months is understandably a relatively short stint for deeper relationships to develop, there were also no false promises - we weren’t lured to take up this opportunity because we wanted to collaborate with artists from France. I believe that for in-depth cultural exchanges and engagements to happen, it would require further commitment on the part of the artists, governments and institutions. This residency has opened doors but it is the responsibility of the artists and institutions to sustain this relationship beyond the conclusion of this residency. Perhaps the format of an artist-in-resident has to be reevaluated and augmented to align itself with our present time. On that note, a lot of big festivals such as the Singapore Festival in France come with a lot of packaging as one country's 'brand identity' is exported to another. How do you think an artist can work within this framework to transcend the more utilitarian notions of art-making? The conditions of production determine the work that is produced. There have been articles floating about that have criticized the artist-in-residence model of production and creation as ‘forced labor’ as artists are cooped up for a period of time and working towards producing a work at the end of the residency. But again, it is up to the individual artist to determine how one should challenge these restrictions within their limits. My refusal to represent my nation in the content of my work is one way, the creation and production of a work that cannot be commodified or acquired (something ephemeral and transient) is another way to resist commodification. The premise of having a group of artists represent the nation is an impossible exercise that is designed to fail, if that is solely what the audience or receiving institution expects than they will be necessarily disappointed. The Singapore en France festival is an aggressive campaign to market the Singapore brand, but if it creates opportunities for dialogue and sustained conversations it should be welcomed with open arms. In the society of the spectacle we are negotiating with representations of representations, we have to keep in mind that it isn’t just the nation furthering its ‘brand identity’, but the contemporary, self-aware artist promoting his or her ‘brand’ at the same time too. Personally, what was your experience living in a different environment and creating work in a different environment like for those two months? Did it prompt you to make new connections and influence your work differently? 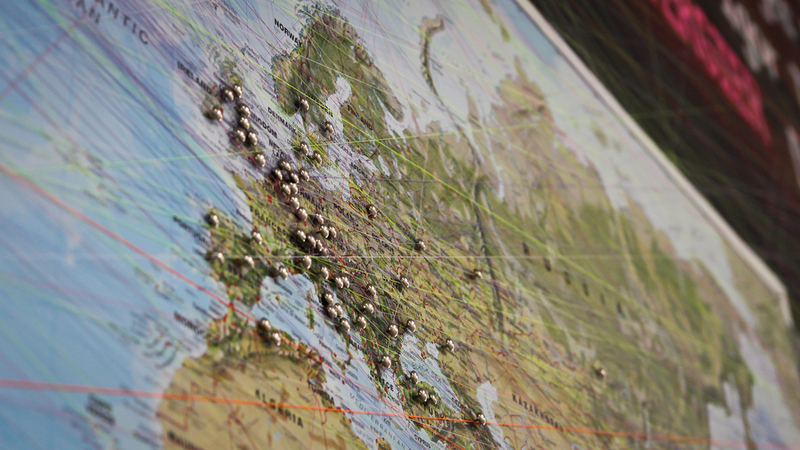 What new insights did you gain into France's structure of arts incubation? I have to be cautious here, as much as we a guilty of accusing the nation and French institutions for having a reductive view of Singapore culture and the arts, we have to be aware that my experience at FRAC des Pays de la Loire is specific to that particular institution, and is not representative of France in its diverse and expansive whole. Neither is this mode of ‘arts incubation’ unique to France or the host institution, it is an international model which has had an illustrious and long history promoting the myth of the artist as a reclusive genius that has been propagated by the canon of Western Art History. It might come across as diplomacy, which is the premise of this entire exercise, but it was wonderful to be treated with utmost professionalism. When we pitched our projects to the French host institution, they did not require us to substantiate our concept with lengthy conceptual explanations. They accepted (probably from decades of experience working with artists) that a certain part of art functions in the realm of the irrational and illogical. It was refreshing to be working with so little bureaucracy and without the need to seek constant validation from the commissioning institution. There was no need to apply for a license, we could work on changing the work right up to the moment when the exhibition opened without fear of repercussions or persecution. To be concise, working in France and observing how my peers work has reminded me that art production does not need to be highly deliberated. And this brings us to the connections that were unexpected, but did happen as a result of this residency. Godwin, Kray, Choon Lin and Kaifeng are artists I respect and have met briefly in Singapore, but only through staying with them over an extended period of time did we get to know each other and our practice better. The Singaporean arts community has a tendency to be quite individualistic and ironically it takes going away to a foreign land to band us together - over Kray’s attempts at Nasi Lemak, Sweet Potato soup etc. Very often, one country's festival in another tends to be a short-lived, flash-in-the-pan event, with a burst of activities taking place and then simmering out. How do you think artists can have more sustained engagement and growth in the country the festival is taking place (in this case, France)? Would residencies be a possible solution to more long-term engagement and networking? I understand you're taking part in several other residencies in Barcelona and Melbourne later this year as well? As briefly touched on in earlier responses - it is largely up to the volition of the artist to sustain conversations and engagement. For example, even though the residency has concluded, we are still in touch with FRAC des Pays de la Loire and working on the catalog for the residency, which will ultimately be the tangible ‘residue’ that we will leave behind for another artist 30 years down the road to excavate. Residencies as an institutionalize model have to be updated - I do not think artist residencies are sustainable as a model and many other arts institutions have turned to alternative modes or gathering and production that are more relevant. For example, what does it even mean to be ‘present’ in our time? The FRAC des Pays de la Loire residency was initially designed to be a getaway to isolate the artist from his familiar environment, but we were all present on Facebook and receiving updates on the Singaporean arts scene and events throughout the residency. Some of us were creating works remotely and others for future shows. Only Choon Lin used the generous studio spaces provided extensively, the rest of us worked with intangible or new media. When there are so many demands on the presence of an artist, how he uses his time and body both virtually and physically becomes the ultimate commodity. Residencies have to align themselves to all modes of how artists ‘present’ themselves to allow the resident to truly reside.